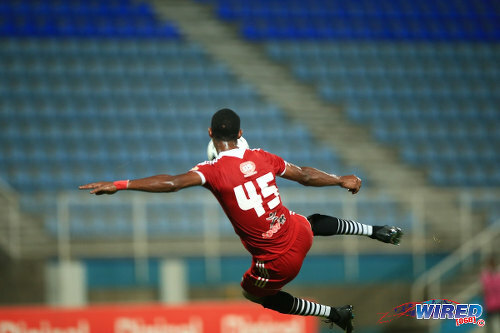 Defending Pro League champions Bankers Insurance Central FC kept their unbeaten Pro League run intact last night but it was a much closer shave than anticipated, as the “Couva Sharks” squandered a three goal lead to hold off Police FC 4-3 in Couva. Photo: Central FC attacking midfielder Ataulla Guerra tries a spectacular volley in a 2014/15 Pro League encounter against Police FC. 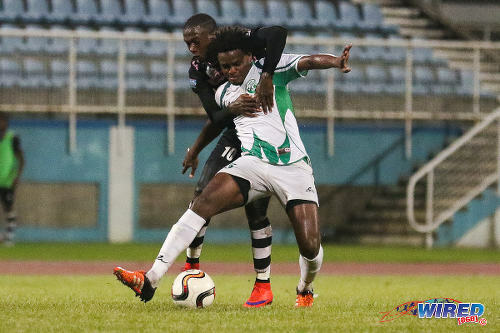 Guerra opened the scoring against Police last night in Couva. The result saw Central return to the summit of the competition, as they are locked on 11 points with Defence Force but trail the Army/Coast Guard combination on goal difference. Defence Force rebounded from their 4-0 Toyota Classic final loss to DIRECTV W Connection last weekend with a 5-1 thumping of Point Fortin Civic at the Hasely Crawford Stadium, which took them to the top of the league. Connection kept their own momentum going with a 3-0 triumph over North East Stars, which was their first win of the 2015/16 season and followed four successive draws. Stars started the evening atop the standings but, if they keep playing like they did yesterday, they will not get there again this season. They were, individually and collectively, awful. 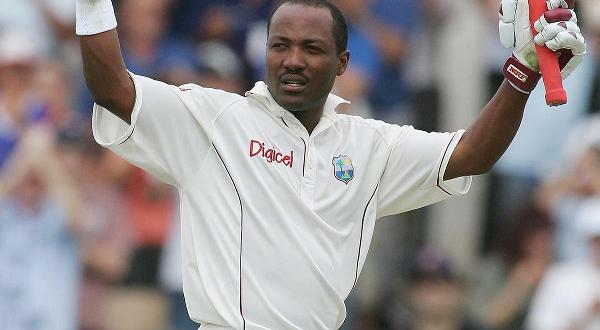 Coach Roland Clarke’s team could not get their rhythm, were slow to the ball and could not win their individual battles. Photo: W Connection defender Triston Hodge (foreground) holds off North East Stars forward Keron Cummings during 2015 Toyota Classic quarterfinal action. Duane Muckette, one of Trinidad and Tobago’s brightest sparks at the 2015 CONCACAF Under-20 Championship, summed up their malaise. Muckette looked aimless and lacking physical sharpness and spent most of the evening inside the pocket of giant Connection midfielder Briel Thomas. Yet, Muckette spent the entire 90 minutes in the “number 10” role while “Soca Warrior” Keron “Ball Pest” Cummings played as an inverted winger on the right flank and then at centre forward. If the intention was for Cummings to drive inside and exploit the space left behind by Connection’s marauding full backs, then opposing coach Stuart Charles-Fevrier planned well as his players man-marked at the back and there was plenty midfield cover between Thomas and captain Alvin Jones. Stars never offered a tactical answer to that and it took just 25 minutes before Connection went ahead, as winger Neil Benjamin Jr collected from Jones and arrowed a shot across opposing goalkeeper Cleon John and into the far corner. Connection were not at their best either. But, in the circumstances, they didn’t have to be. Photo: W Connection attacker Neil Benjamin Jr (centre) skips past a challenge from Defence Force stopper Rodell Elcock (right) during the 2015 Toyota Classic final. Two minutes into the second half, an incisive attack doubled their lead as Benjamin squared for Shahdon Winchester to tap into an unguarded net from point blank range. It should been 3-0 in the 51st minute but Thomas failed to keep down his header from a Jones corner kick. But, eight minutes later, the third goal did come as veteran Andre Toussaint tapped home from a raking Winchester cross. And, tellingly, it was not until the 78th minute that Connection custodian Julani Archibald had to make his first real save, as he pushed away a Cummings blast from just outside the penalty box. It might have been worse though as Shannon Gomez was denied a late goal by a debatable offside call while John produced a superb low save to keep out Toussaint. 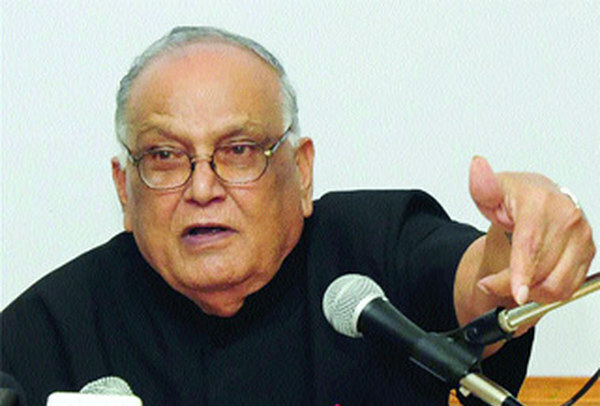 The evening’s second affair looked to be equally straightforward as Central steamed ahead against a reactive Police team. Photo: Central FC players Willis Plaza (left), Kaydion Gabriel (top) and Ataulla Guerra celebrate during their 5-2 win over Point Fortin Civic in the 2014/15 Pro League season. The “Lawmen” had five players spread across their backline when Central had the ball. 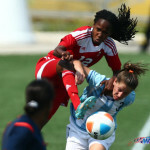 But it would not have seemed that way when Trinidad and Tobago internationals Ataulla Guerra and Willis Plaza combined to create the opening goal in the 17th minute. It was Guerra’s fourth goal from his last four outings. 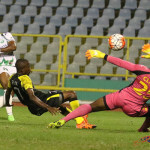 Marcus Joseph doubled Central’s advantage in the 34th minute with a classy item, as he collected a low right side cross from Sean De Silva, shaped as if to shoot and glided past an opponent before steering past Police goalkeeper Adrian Foncette. 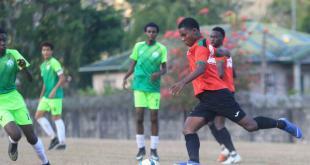 It was, surprisingly, only Joseph’s second goal since he swapped Point Fortin Civic for Central. And, five minutes before the interval, Elijah Manners made it 3-0 as he collected a loose ball—after Guerra had thumped an effort off the bar—and danced around two tackles before driving past an unsighted Foncette. 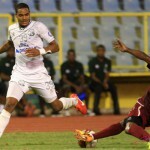 Police winger Kareem Freitas pulled an item back from close range in the 64th minute, after good build-up play from Christon Thomas and Makesi Lewis, to preserve his own hot streak with goals in each of his last four Pro League fixtures. 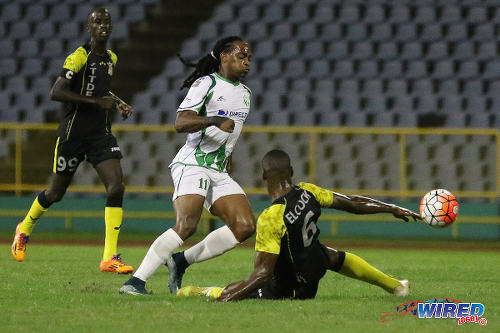 But it looked like no more than a consolation item, particularly when Jason Marcano restored Central’s three goal advantage within seconds with the Police backline all at sea. 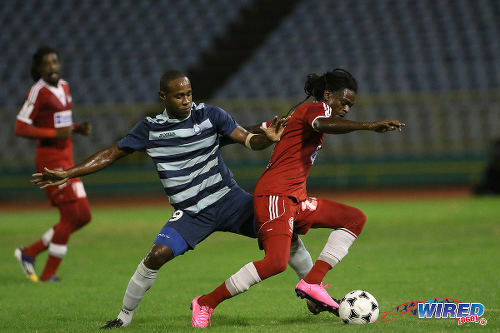 Photo: Central FC winger Jason Marcano (right) tries to elude Police FC midfielder Makesi Lewis during 2015 First Citizens Cup quarterfinal action at the Hasely Crawford Stadium. Plaza spurned at least three one on one opportunities against Foncette while his replacement, Kerry Baptiste, was denied by the Police custodian in the 75th minute. Before Police started an unlikely comeback aided by two penalty decisions by referee Dennis Changiah. Changiah spotted a handled ball inside the Central penalty area in the 76th minute and Lewis took the opportunity with a crisp strike that beat the outstretched arm of Central and Trinidad and Tobago international goalkeeper Jan-Michael Williams by inches. 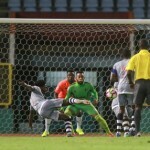 In the 89th minute, Central players were incensed as Changiah again pointed to the spot as defender Andre Ettienne used his hand to climb on the shoulder of Police substitute Keon Wilson. It was a brave call. But probably the right one. Lewis drilled into the same corner and, again, Williams guessed right but could not reach the attempt. The strike was Lewis’ fifth Pro League goal this season and saw him catch his teammate, Freitas, atop the scoring charts. 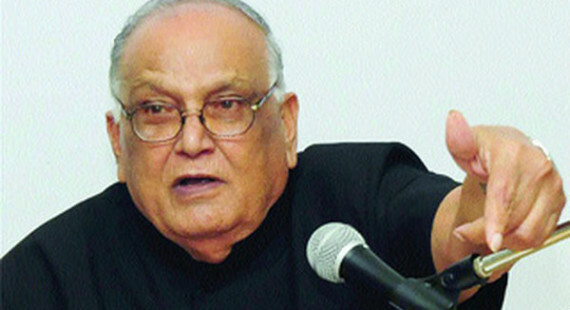 As it turned out, Police could not quite catch Central though. 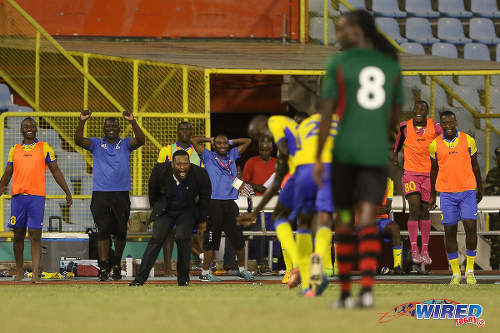 Photo: Defence Force coach Marvin Gordon (third from left) and his substitutes’ bench erupts after Jerwyn Balthazar’s screaming strike against San Juan Jabloteh in the 2015 First Citizens Cup. Central are in action again on Friday night when they face Play Whe San Juan Jabloteh from 8 pm at the Hasely Crawford Stadium. 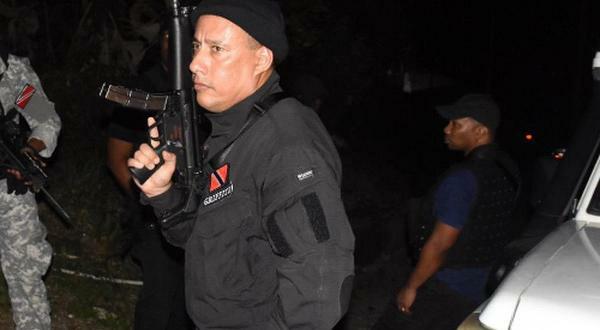 And the Lawmen will hope for better luck at the same Port of Spain venue, as they meet Defence Force from 6 pm in the opening game of a double header. Central FC (4-1-4-1): 21.Jan-Michael Williams (GK); 15.Kaydion Gabriel, 4.Andre Ettienne, 12.Jamal Jack, 3.Keion Goodridge; 25.Elijah Manners; 8.Sean De Silva, 45.Ataulla Guerra (19.Nathaniel Garcia 76), 99.Marcus Joseph, 7.Jason Marcano; 33.Willis Plaza (6.Kerry Baptiste 74). Unused substitutes: 30.Akel Clarke (GK), 5.Akeem Benjamin, 11.Darren Mitchell, 17.Marcelle Francois, 26.Jem Gordon. Police FC (3-4-2-1): 1.Adrian Foncette (GK); 4.Karlon Murray, 5.Anton Hutchinson, 20.Elijah Belgrave; 6.Jibiri McDavid, 21.Todd Ryan (captain) (16.Keon Wilson 71), 14.Kaaron Foster (12.Kevin Lewis 71), 17.Nequan Caruth; 10.Kareem Freitas (18.Dylon King 77), 19.Christon Thomas; 9.Makesi Lewis. Unused substitutes: 22.Keinol Paul (GK), 2.Jasimar Ashers, 8.Kurdell Brathwaite, 15.Jameel Perry. Defence Force 5 (Kishun Seecharan 18, 55, Jerwyn Balthazar 21, Kerry Joseph 58, Kellon Serrette 90), Point Fortin Civic 1 (Shackiel Henry 76) at Hasely Crawford Stadium. 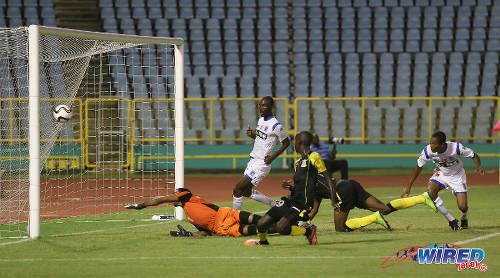 Photo: Defence Force midfielder Jerwyn Balthazar (second from left) knocks an equalising goal past St Ann’s Ranger goalkeeper Stefan Berkeley (far left) in 2015/16 Pro League action. W Connection v St Ann’s Rangers, 6 pm, Ato Boldon Stadium.